Since the first edition of Once-a-Month Cooking was published in 1986, its proven, practical method has helped hundreds of thousands of families cut down their cooking time and still enjoy home-cooked meals every night. Newly revised to satisfy today's lower-fat tastes, this easy-to-follow, family-tested cookbook explains how to: plan ahead, spend less time in the supermarket, cut down on prep time, group similar kitchen tasks together to get them all done at once, make kitchen clean-up more manageable, use the freezer, computer, and our head to create a month full of delicious, nutritious meals and actually have enough time to relax and enjoy them. 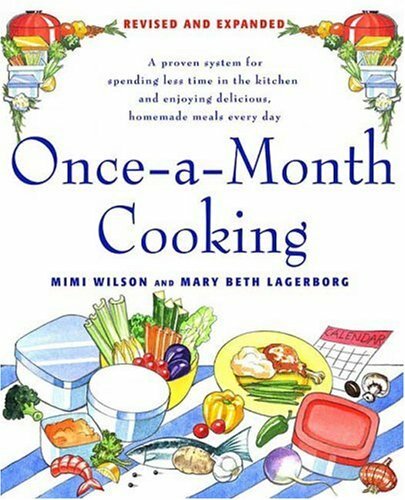 Once-a-Month Cooking is the perfect cookbook for today's busy lifestyles.